The Parc Natural de la Península de Llevant is described as one of the most rewarding areas of Mallorca. This beautiful natural park lies in the north east of the island, and covers a protected area of 1,671 hectares, dominated by the distinct mountain range known as the Serra de Llevant. These limestone mountains are carpeted in Mauritian grass, Aleppi pine and holm oak. Many breeds of birds make the tree-scattered slopes of the Serra de Llevant their home, including booted eagles, peregrine falcons and Audouin’s gulls. The Parc Natural de la Península de Llevant is made up of vast geographical diversity, comprising of caves, springs, streams, coastal cliffs, forest and scrublands. The diversity of the landscape not only makes the Parc Natural de la Península de Llevant an incredibly stunning part of Mallorca to visit, but also a refuge for many species of wildlife that are endemic to the Balearic Islands. Archaeological remains are testament of an ancient human presence in the Parc Natural de la Península de Llevant. Two such sites are the coastal watchtower known as the Talaia Moreia and the remnants of a military camp built by Republican prisoners of the Spanish Civil War. The Parc Natural de la Península de Llevant is popular amongst cyclists, hikers, birdwatchers and wildlife enthusiasts. 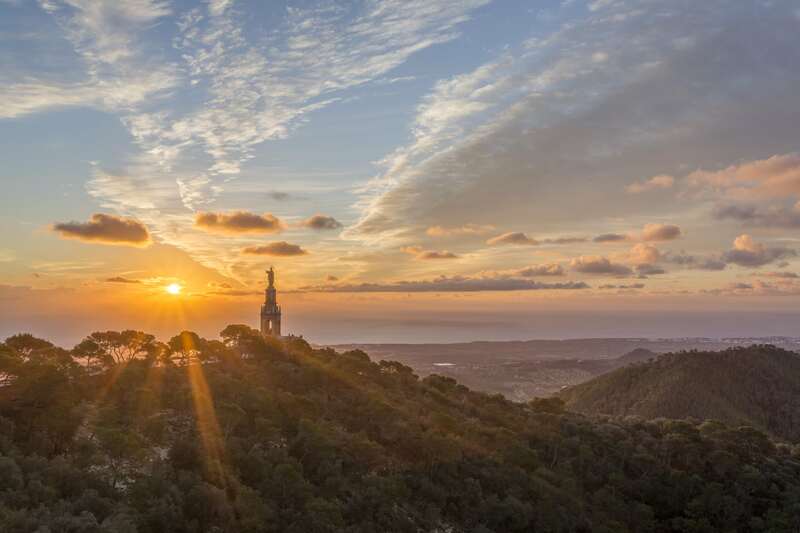 Tucked away in a valley at the side of Llevant natural park is the picturesque town of Artà. This rural town hasn’t been changed by tourism and is the perfect place to discover authentic Mallorca. Artà is famed for its local pottery and basket weaving, as well as its legendary Caves d’Arta, underground caverns that are home to spectacular stalactite and stalagmite formations. If you are looking to explore Mallorca at its prettiest and most natural and tranquil, away from the tourist hotspots, head to the beautiful Parc Natural de la Península de Llevant. Just remember to take your camera.